A few carrots, some onions, a cold world. 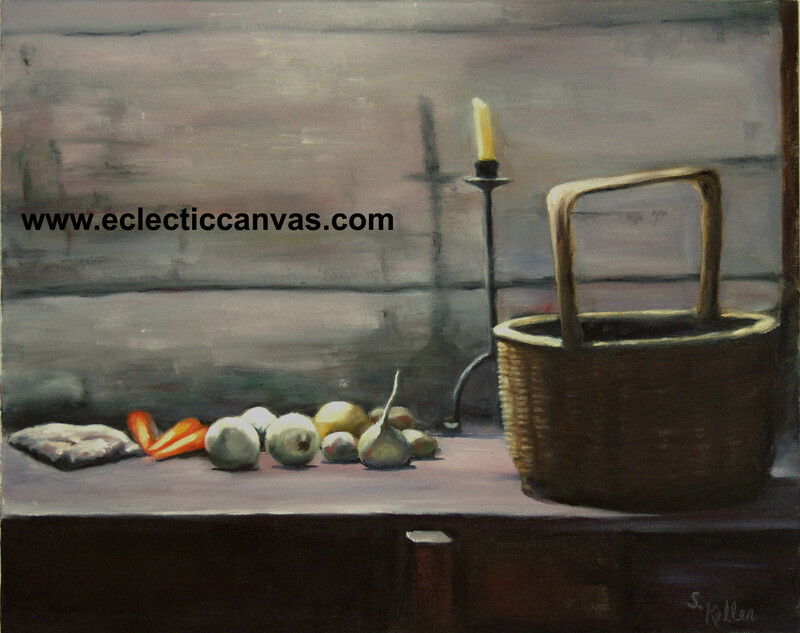 Original painting is 20 X 16, oil on canvas. Sold on-line w/o frame. For purchase with framing, please inquire for additional charge, or see our calendar for a listing of shows. All paintings displayed at shows are sold with framing.